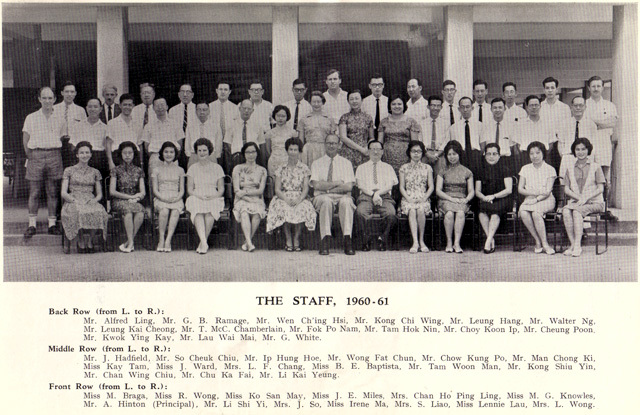 Staff photo 1965-66. 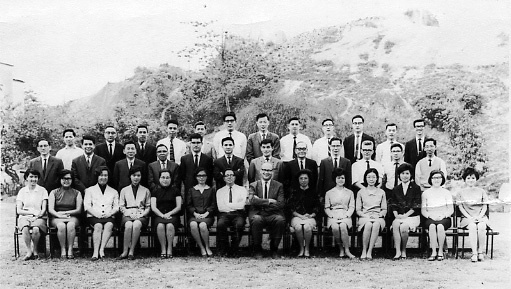 Can you spot Mr. Chu Ka Fai? 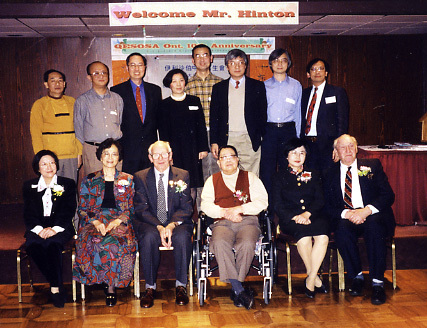 Front row from left: Ms. Pamela So, Ms. Lena Liang (Mrs.
Wong), Mr. Hinton, Mr. Chu Ka Fai, Ms. Ruth Wong, Mr.
Cheung, Wong Sun, Lai Tak Shing and Leung Ping Chiu. 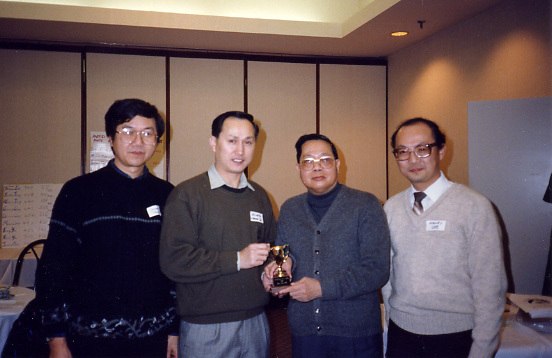 Chow (61), Mr. Chu Ka Fai, Henry Lee (61).